A burgeoning family, a bungalow bursting at the seams and a hands-on couple with a clear vision – this was a project that hit all the right notes. A bungalow conversion that bends to the future. Lending our ears, learning more about the family and their vision, we put our heads together to develop architectural plans for something altogether new. Working from the foundations up, we kept a strong consideration for the people at the heart of the building, adapting our designs to reflect their day-to-day lives, from busy breakfasts to sacred quiet time. Originally a three-bedroom bungalow on a great plot with perfect orientation, our clients (Sophie, an artist and Jon, a landscape designer and building contractor) wanted to build a family home as original as they are. The couple needed a new roof construction, accommodating three bedrooms and a bathroom upstairs as well as plenty of living space downstairs. With a great aspect overlooking a large garden and a river, they also wanted to make more of what lay beyond their walls. Approaching us with simple drawings and great ideas, together we ironed out the details, producing architectural plans that would work for the whole family. During the build, we were on hand to walk the pair through different options rationally, smoothing out any concerns. On one such occasion, worries arose over the dining room and snug layout. Although we weren’t officially involved in the construction process, we just happened to be making a site visit at the time. 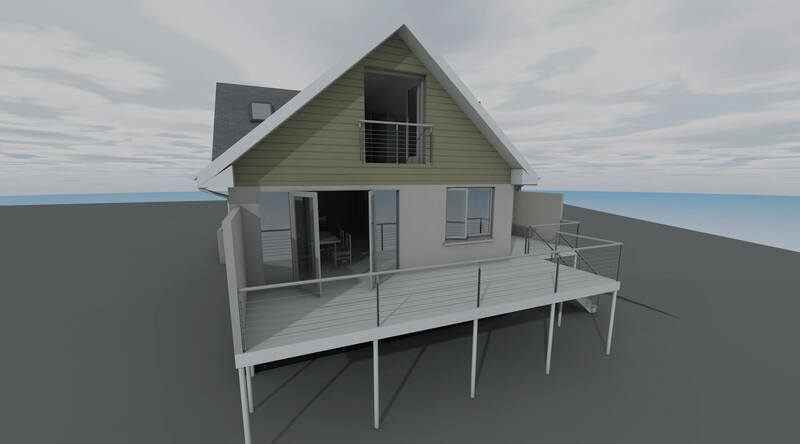 To put the couple’s minds at ease, we were able to show them two new options with our 3D design software – which helped them see a clear and exciting alternative. With creative flair, construction skills and an openness to the potential of what we could do for them, Sophie and Jon were in this to craft something really special. And it showed – from the quality of the materials they chose to the level of construction, they’re now the owners of a remarkable home that mirrors their needs perfectly – giving them room to breathe, play, work and grow. At Märraum we bring more to your space – and take your story beyond its walls. 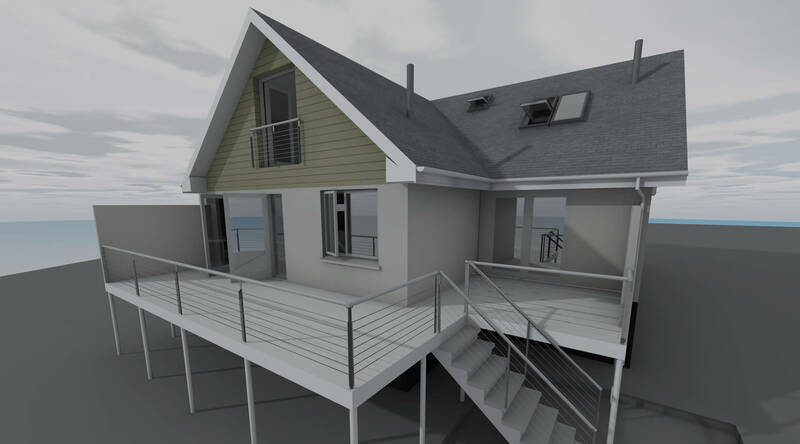 From private to commercial, contemporary to restoration, start your adventure with a different kind of architect practice in Cornwall. Get in touch and discover how you can bring your own story of space to life. © 2018 Märraum. All Rights Reserved.